Google releases Android Dev Phone 1 for developers | Android Blast! Google has quietly revealed a new Android phone. This time, the Android Dev Phone 1 is designed to be sold exclusively to hard working developers. 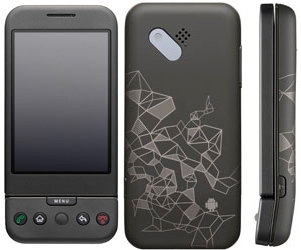 The Android Dev Phone 1 is a SIM- and hardware-unlocked G1 phone. The Dev Phone 1 includes a system image that's fully compatible with Android 1.0. It complies with any SIM card and can "flash custom Android builds that will work with the unlocked bootloader." To get one of these phones you must register as a developer for $25. After that, you'll be able to purchase the new Dev phone for $399. If you want more pictures of this device, check the Source link for engadget's Gallery.